- Gildan Adult 6.0 Ounce Dryblend® 65/35 Poly/Cotton Double Piquè Short Sleeve Sport Shirt. 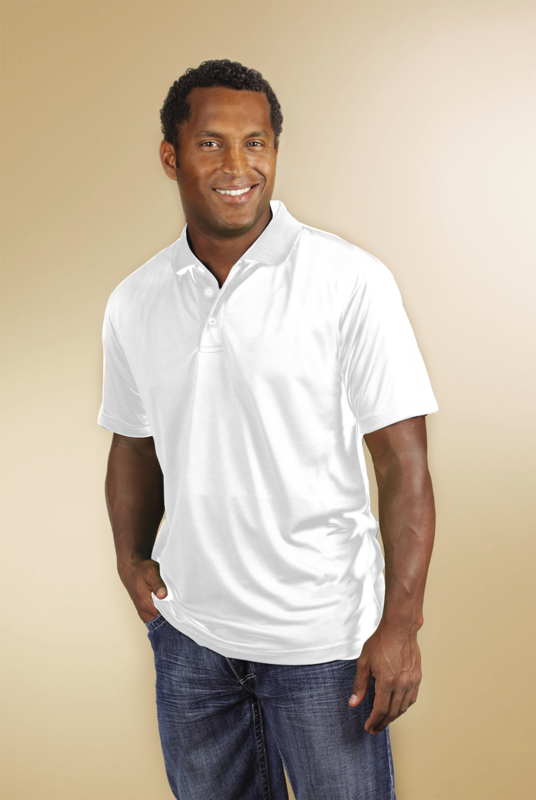 - Try this 65/35 polyester/ring spun cotton double piquè sport shirt. Gildan Adult 6.0 Ounce Dryblend® 65/35 Poly/Cotton Double Piquè Short Sleeve Sport Shirt. Try this 65/35 polyester/ring spun cotton double piquè sport shirt. Moisture wicking properties. Contoured welt collar. Clean finished placket with reinforced bottom box. 3 color-matched buttons. Sideseam body with side vents. Double-needle sleeve and bottom hems. Pad printed neck label and double satin shoulder label. Transitioning to tear away label. Sizes: S-5XL. Neutral: White. Heather: RS Sport Grey. Colors: Black, Dark Heather, Navy, Red, Royal. Sizes: S-3XL. Colors: Charcoal, Light Blue, Forest Green, Maroon, Purple, Safety Green, S. Orange.